Do Android Hunters Dream of Custom Robotic Wildlife? 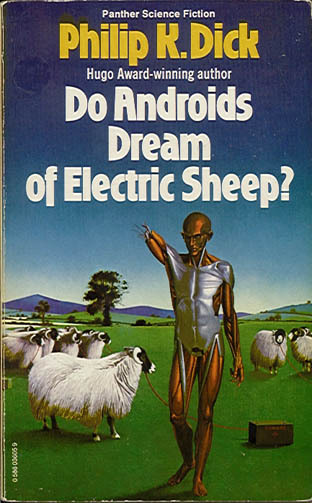 Reading Philip K. Dicks “Do Androids Dream of Electric Sheep“, the novel “Bladerunner” is loosely based off of, I was brought back to an article I read in Wired about electronic animals being manufactured by Custom Robotic Wildlife. The electronic workings of these robotic, remote-controlled robots are covered in the hide of various animals, the product line including bears, foxes, and deer, “combining technology, creativity and the art of taxidermy”. With multiple purposes ranging from decoys to catch illegal hunters to creepy mall displays, these android animals come across as strikingly life-like. Probably the perfect wildlife accessory to go with your Real Doll.